The Reserve at New Windsor is one of Bob Ward's newest communities. This quiet, secluded neighborhood offers the Active Adult a relaxed lifestyle in a home with a state of the art design. 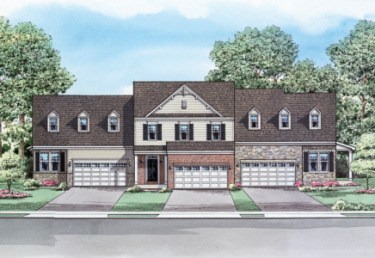 Featuring a 2 car garage, full basement and a choice of a ranch style with 2nd floor options as well as a traditional, yet innovative 2 story design. These attached villas are set in a quiet, yet ideal location in New Windsor, only 8 miles from Westminster and 20 minutes to Frederick. Convenient to shopping, dining, entertainment and state of the art medical facilities. Please visit our Greenvale Mews community for more details.